We have really exciting news that we've been keeping under wraps for a few months now. 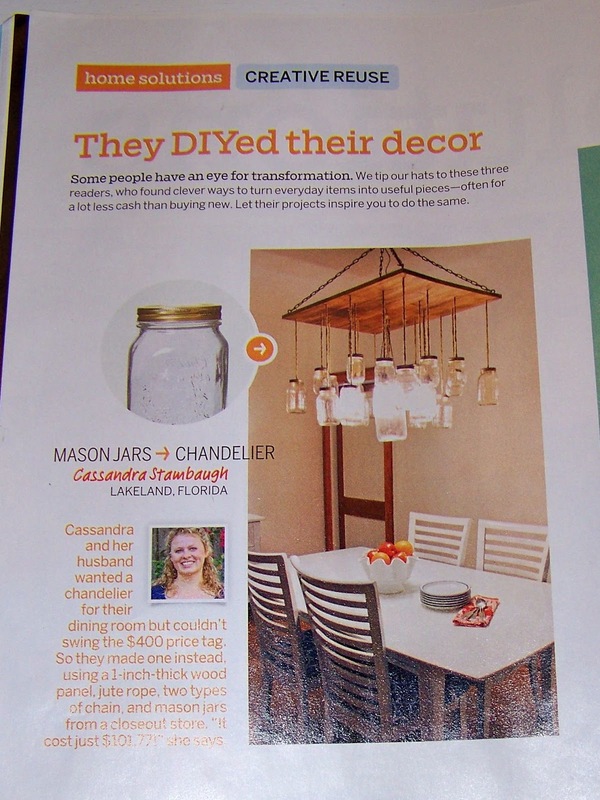 A few months ago I was contacted by This Old House (which was an utter shock) about featuring our mason jar chandelier in their magazine! 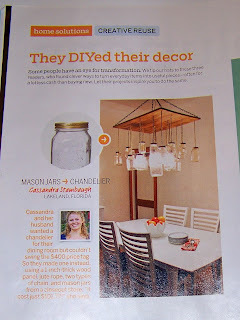 After snapping a few new pics of the chandelier and a lot of nervous anticipation, I received the issue in the mail. 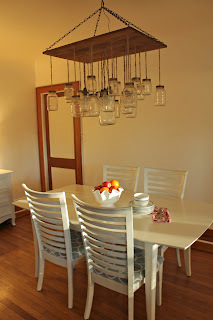 It was the perfect 1st birthday present for the blog! We were featured in the Home Solutions section of the magazine with a lot of other amazing projects! You should really check them all out if you get a chance. And just for fun, here are a few other shots I took as options. 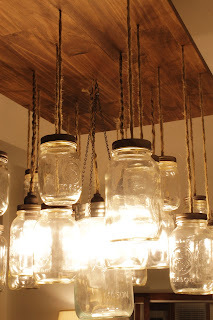 I borrowed a friends really nice camera so these will probably be the nicest shots of the chandelier that I will ever take. 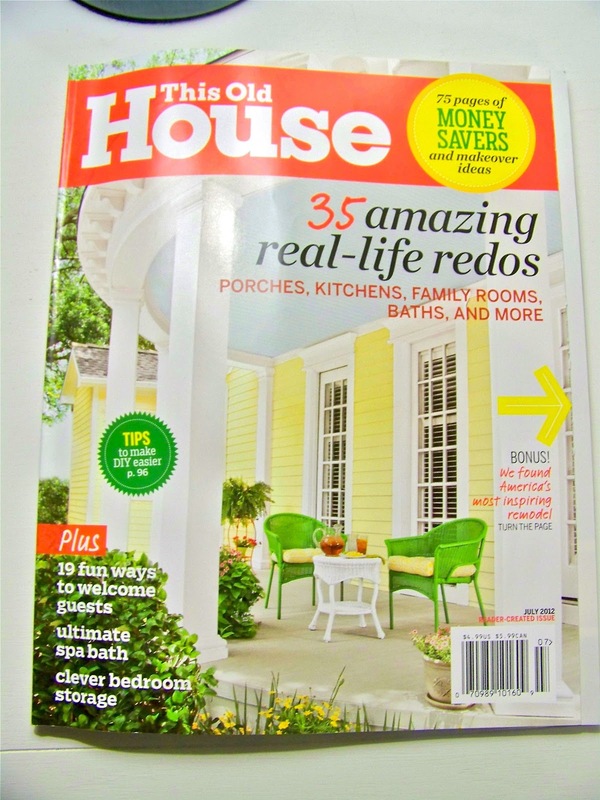 Congrats on being featured~very excited for you! 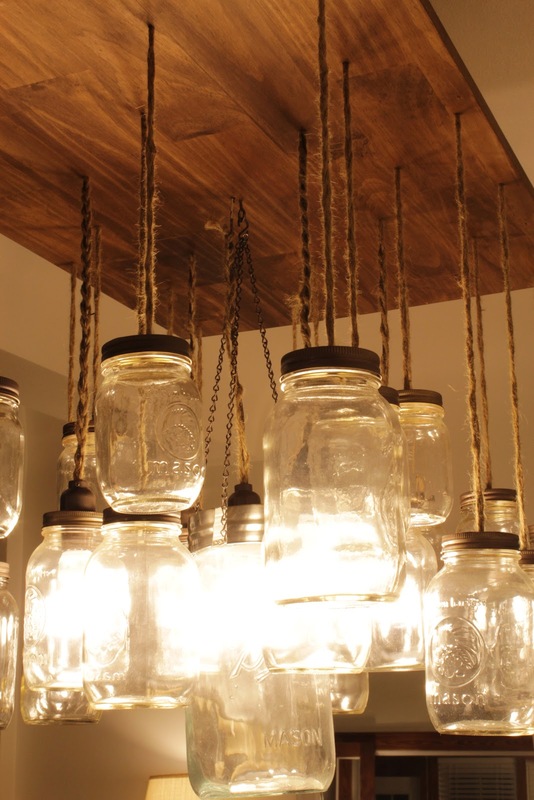 Your Mason jar chandelier looks great. I never would have thought to do what you did with them. Very charming.